Crystal Palace, is in South London and sits within the London Boroughs of Lewisham, Bromley, Lambeth Croydon and Southwark. The name comes from the famous landmark, The Crystal Palace, which stood in the area for over 80 years to 1936. The National Sports Centre is located within Crystal Palace Park. 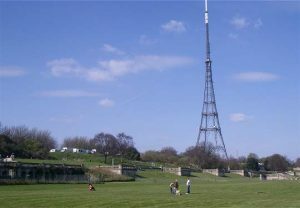 Crystal Palace, with its very visible and iconic transmitting station, is one of the highest points in London with breathtaking views of the capital. Lanes have been providing driving lessons in Crystal Palace, SE19 for many years. Please call us today on 020 8166 5678 or click here to send us an email via the contact page. Lanes have a team of driving instructors in Crystal Palace, SE19. Please call us today on 020 8166 5678 or click here to send us an email via the contact page. Lanes have a selection of female driving instructors in Crystal Palace, SE19. Please call us today on 020 8166 5678 or click here to send us an email via the contact page. Lanes have a selection of automatic driving instructors in Crystal Palace, SE19. Please call us today on 020 8166 5678 or click here to send us an email via the contact page.